Most people use scarecrows or shiny objects to ward off animals and birds that devour crops. 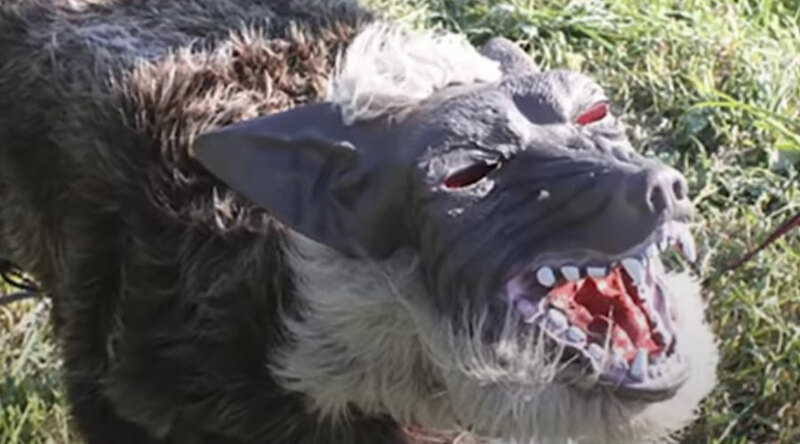 In Japan, a new, more unusual tool is helping farmers: a wolf robot. With its monstrous look and red eyes, this scarecrow is so effective that it will be entering mass production. In the Japanese fields, wolves roam. However, humans have nothing to fear because these wolves are simply scarecrows with false look monsters. Called as “Super Monster Wolf”, this scarecrow is a 65 cm long and 50 cm high robot. To reinforce its scary look, it is covered with fur and has imposing fangs and a pair of red eyes. Its appearance is not the only thing intended to intimidate. As soon as an animal approaches, the robot detects it. It starts screaming and its eyes light up to make the birds and animals flee. WHY CHOOSE THE WOLF TO PROTECT CROPS? Initially, the Super Monster Wolf was designed to help some farmers living near Kisarazu, in Chiba. Tired of seeing much of their rice crops eaten by wild boars, researchers have developed and experimentally tested the wolf robot in July 2017. It turns out that the wolf was very effective for this. The farmers have claimed that the crop losses have decreased. And to make this scarecrow more effective, it has a variety of various sounds so that animals and word do not get used to the sound of the monster wolf. With an effective radius of one kilometer, the robot wolf is according to its users not only better than an electric fence but also more ecological. Its manufacturers claim that it works on rechargeable solar batteries. All these qualities have convinced the farmers to get one robot wolf. The Super Monster Wolf has completed the experimental phase and ready to be mass produced. Those who wish can soon buy this wolf robot for a modest sum of 514,000 yen (more than 3,900 euros) or by paying each month a rent of about 90 euros.